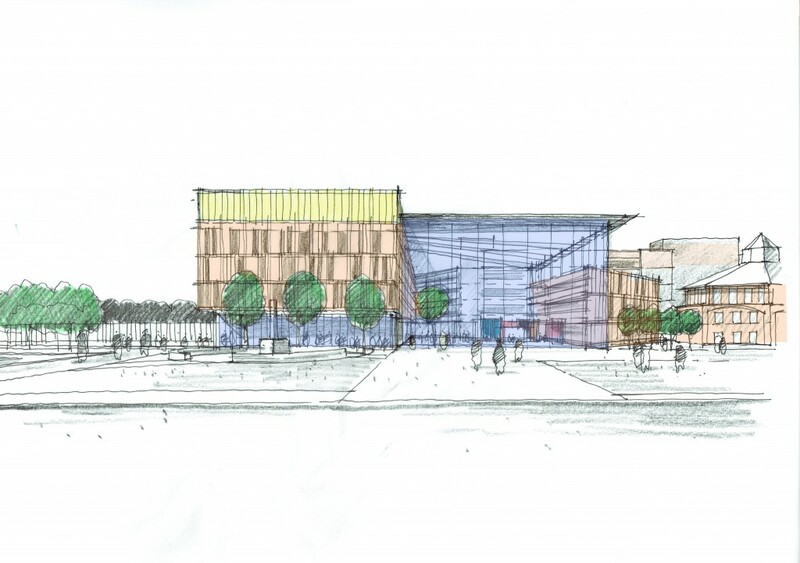 10 February 2015 – Plans to regenerate Ellesmere Port’s town centre will include delivering a £20 million purpose-built public services hub in the centre of the town – potentially bringing together seven public sector organisations under one roof. The creation of a new facility will improve the delivery of public services; reduce the cost of delivering these services to the combined public purse and release land for re-development for housing. A meeting of the Council’s Executive heard that an outline business case for the hub has been developed and considered by a range of partners including the Ellesmere Port Development Board, the Locality management team, the public services board and the West Cheshire Strategy board. A full business case will now be worked up working closely with partners to gain full approval. The news follows an announcement by the Cheshire and Warrington Local Enterprise partnership last week that it had been successful in securing an additional £15 million for the area from the Government’s Local Growth Fund, of which more than £8 million will go towards Ellesmere Port’s Central Development Zone. Speaking at the meeting, Councillor Stuart Parker, Executive Member for Culture and Economy, said: “Since 2013, the Council has continued to work with partners to develop the public estate holistically and to use public sector investment to support local community needs and to drive wider regeneration of the town. “The public services hub proposed for Ellesmere Port is an exciting project that not only looks to bring seven public partners together in one building but also proposes service integration and transformation to deliver improved outcomes for our residents and cultural changes as well as savings to the public purse. “It will have a catalytic effect on wider investment in the central area of the town with the potential creation of up to 2,000 new homes which is very significant. The £20 million project, which has already gained the support of the Local Government Association, the Government Property Unit and the Cabinet Office Transformation Network, also supports the Government’s ‘One Public Estate’ initiative. A detailed town centre strategy has also been prepared by the Ellesmere Port Development Board to inform future investment decisions framed around the hub investment. A programme of town centre improvements has ensured continued improvements on the town’s historic high street Whitby Road and this scheme has since been nominated for several national awards. Leader of the Council, Mike Jones, said: “This is part of an overall plan of how we regenerate Ellesmere Port and that includes working in the schools, housing, jobs –there’s over 2,000 jobs been created in the last three years and there’s another just under 1,000 being recruited as we speak. “And with another 12,000 in the tube over the next 10 years there’s a mass of jobs and employment creation and we’re starting to invest in events and festivals within Ellesmere Port. Local member, Councillor Nicole Meardon, said: “I would like to welcome any investment into Ellesmere Port town and I’m sure that residents will also. While the efforts of the Development Board and council officers should be applauded in securing funding, I would hope that as this project goes forward residents and services users of Ellesmere Port are core to developing the business plan.